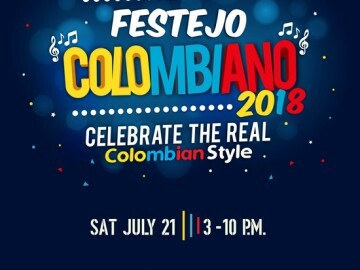 Festejo Colombiano is back on the hill for another another Colombian Independence Day celebration! Join us on Saturday 21 July as we vibe with everything Colombian from authentic street food and drinks, art, dance and music! The menu includes staples of Colombian street food and drink; Empanadas, Arepas Rellenas, Carimañolas, Tamales, Perros Calientes, Raspados, Alfajores, Cocadas, Jungle Juice, and Aguardiente. Featuring a Traditional Colombian Dance Show with Live Music and Colombian DJ from Cartagena playing tunes from the motherland to groove “al estilo colombiano” all day long. Games, raffles and more surprises to come. Free-entry, kid and dog friendly. Share with your amigos and join the rumba! Head up Sophia Road beside Peace Centre. Stay on the road to the top of the hill and when the road forks at St Margarets Primary School, take the left (Upper Wilkie Road). We’re at the end of Upper Wilkie Road, beside Hangout Hotel. 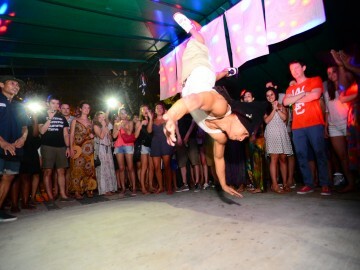 The Sunday at the Training Shed Hip Hop Edition went down in fine style. Many thanks to Marc Hype and Jim Dunloop, Soulrock, Koflow, DJ DSK, Radikal Forze Crew, Zebster, Scola, Bond, Inkten, Clogtwo, Dem, Jase, Dickid, Wok, Redy, and Antz for joining us, and of course all the party people and the staff at The Training Shed for the support. 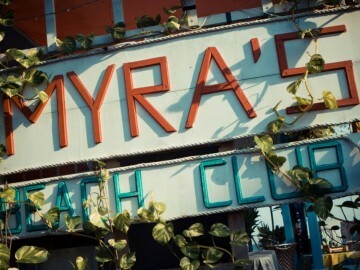 Second edition of The Seaside Show at Myra’s Beach Club. Many thanks to guests Funk Bast*rd Darker Than Wax and Kentaro Mugic Soundsystem for the music and everyone who stopped by. Next up: Sunday at The Training Shed Hip Hop Edition, 13th October. We took the funk across the border for the first Sideshow x Eight Lido collaboration. Pushin’On DJs with Aidan on percussion, Ceno2 on art.